It's an embrace of basics that shows off the power behind creation. While some bands look to layer their music as much as possible, sometimes it's best to strip everything away until there is just one person and one instrument to see just how strong the structure of a song is. On Blood Into Sound, Tyler Smilo's debut solo album, it's the embrace of the basics that shows off the power behind his creations. The local singer/songwriter fills his debut album with 10 heartfelt songs, playing not with a wink and a nod, but with an earnestness that allows his lyrics to hit listeners straight in the gut. With a voice like if a more serious Tom DeLonge went on a Mountain Goats bender, Smilo's lyrics take center stage, backed by his trusty guitar, a simple combination that allows little touches, like the "oohs" on "My Weight," to sound hauntingly good. 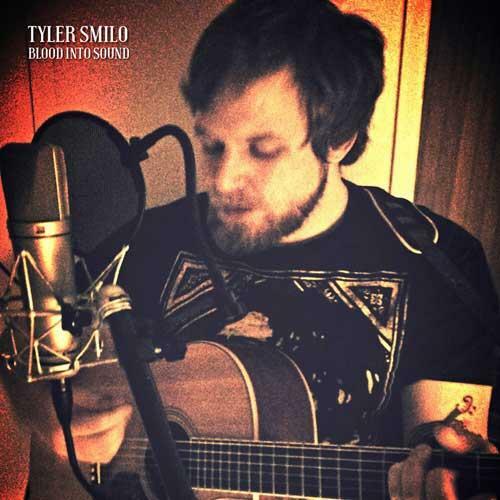 Smilo doesn't over think things on Blood Into Sound, and the heart of the songs shine through because of it.